Proven Winners, has consistently been producing some of the best new varieties every year. One of my favorite new introductions for this year is Superbells Holy Moly. Super vibrant constrasty colors of yellow and cherry red flowers make this a stunning eye catcher. 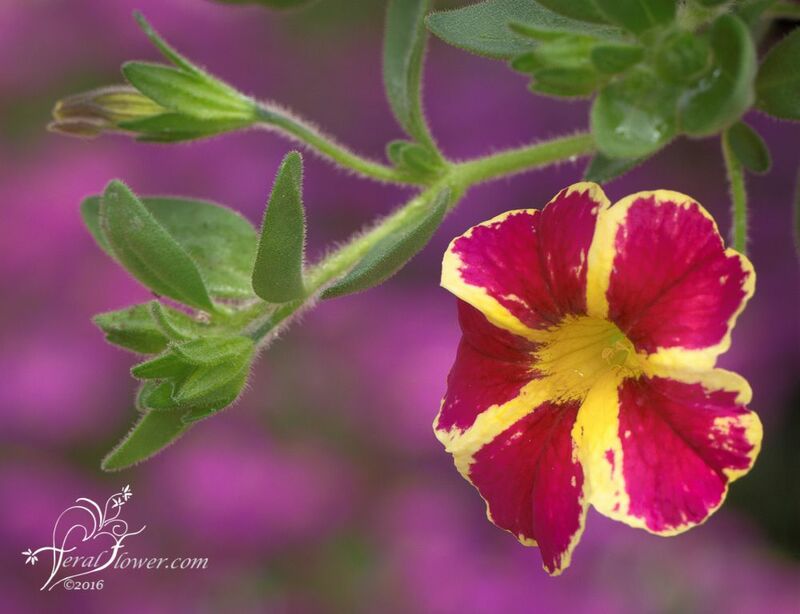 Although it has petunia-like flowers this is really a Calibrachoa. The deep throated flowers are extremely attractive to hummingbirds. Deadheading is not necessary. These will grow 6-10” tall. They trail, so they are also good in hanging baskets and containers. They are cold and heat tolerant, so they will flower for many months continuously. I would love to see these inter-planted with a dark purple flower. Mixing this with petunia Stary Night will give you a unique out of this world combination.